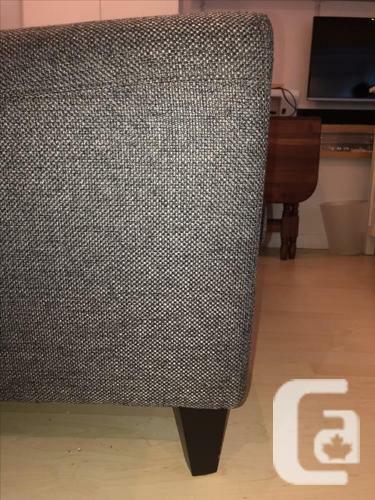 Selling both an almost brand new couch and matching chair from Umbra as we have no room in our house. Colour is a navy-grey mix. Bottom couch cushion lined with velcro for easy cleaning. Matching style and colour they fit great in any size home. Couch and chair are in great condition as they have barely been used. Selling both for $1400 or $750 each (or best offer). Please contact for more information!